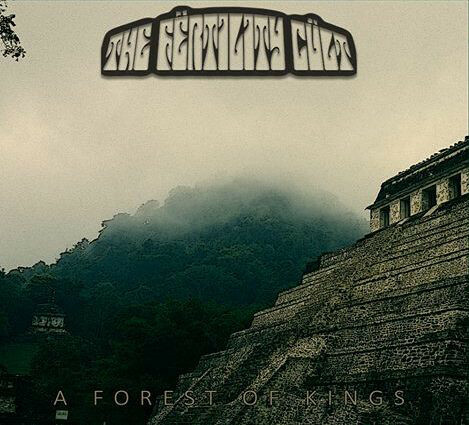 A Forest of Kings is the third album by Finnish psych/prog/metal group The Fërtility Cült. I remember reviewing their first CD and maybe also some CD-R EP by them years ago. 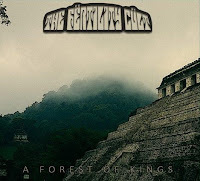 Their sound is a sort of weird mix of psychedelic rock, doom, stoner, metal, progressive and post-metal/rock. Their instrumentation also includes keyboards and jazzy saxophone so the soundscape really is pretty varied and vast. The vocals are clean and melodic and pretty good. I'm having problems trying to think bands that would sound like them so I guess that means originality (or I just have not heard their biggest influences...). Some of the most progressive parts do bring to mind early King Crimson a bit and the beautiful, atmospheric stuff (like "The City on the Edge of Forever") remind me of Porcupine Tree or some melodic, melancholic metal bands like Anathema, though. The 47-minute CD includes five longs, adventurous tracks. 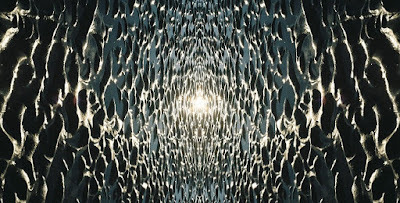 My favourite is maybe the second song "The Path Is Clear" that I also have used in my Astral Visions Mixcloud Show. This one also has some cool solo guitar work and it has a nice groove and vibe and lots of different stuff. "God of Rain" is great too in all its slowly creeping heaviness and starts to rock like Iron Maiden later on. The last, melodic and powerful song "Cycles of Time" somehow brings to mind Amorphis. 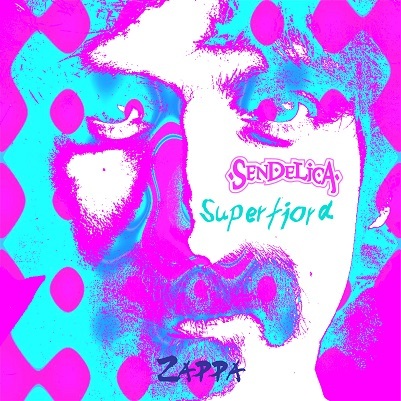 I like this band and their latest album and am looking forward to see them live tomorrow at Semifinal in Helsinki where they play with the amazing space rock band Sendelica from Wales. Be there!!! Fiore Spietato is the fifth CD by Italian psychedelic one-man-band Unimother 27. Like before, all instruments (bass, guitar, synthesizers) are played by Piero Ranalli, except drums are credited to a mysterious Mr. Fist. Probably a drum machine, I guess. Anyway, Pietro knows how to make spacey, rather heavy and mind-altering psych rock and as always you'll get a healthy dose of soaring acid guitar work-outs. This new album includes five long, instrumental tracks starting off with the rather slow, dark and heavy "There Is No Trip for Cats". Well, at least they got their catnip... And this track surely gives a trip to humans. Great solo guitar work on this one. 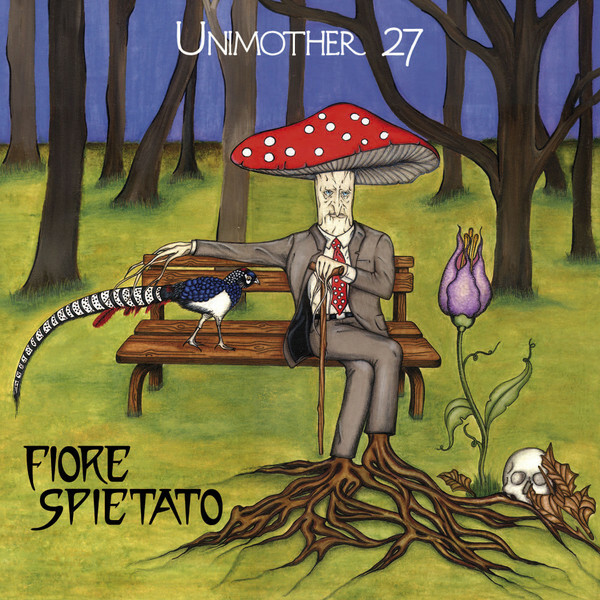 On "Hierophantes" Piero gets a bit more progressive with some early 70s vibes and experimentation. Very nice! "Something About the Clouds" is much more experimental and weird, and "The Wheels of Memory" is the true ten-minute psychedelic journey of the album. The disc is finished with the even longer (14:21) title track "Fiore Spietato" where, according to Pietro's own words, "nature gives us enjoyment of indescribable beauty and then supresses them with equal determination". Hm, okay. Nature seems to have her ways to make us psych-out as well. Again, lots of heavy lead guitar work, progressive elements, experimentation and pure weirdness all-around. If you like your music weird, heavy, psychedelic, progressive and sort of going in several directions at once this project is definitely for you. The best and easiest way to obtain a copy of this and the previous albums is directly from the man through Discogs. 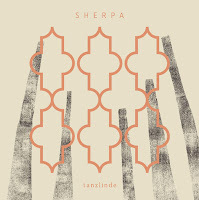 When you hear the word "sherpa" you are immediately reminded of high Tibetan mountains etc., but this new band is actually from Italy. 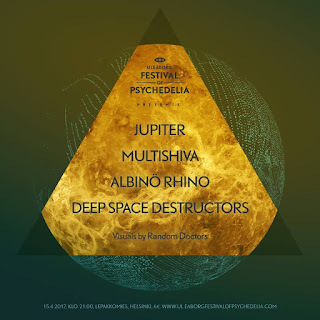 Sherpa has been labelled as psychedelic, krautrock or space rock but I don't really agree. I would rather say they play an interesting mix of indie rock and pop with some Eastern, ethnic folk, progressive and psychedelic overtones. 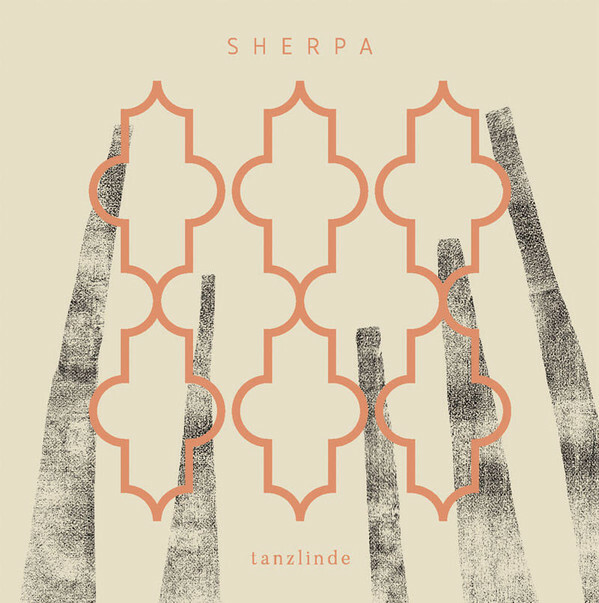 Some of the first tracks are pretty light and happy, but there are also deeper, darker and more meditative moments like the fourth, title track "Tanzlinde" and the following "Sherpa", one of the highlights. At times I also hear echoes from bands like Dead Can Dance. The male and female vocals, usually in English, are great and the instrumentation is varied enough. The album includes ten relatively short songs so don't expect any long jams on this one. The longest track is the beautiful and melancholic "Loto" that sounds like a mix of The Cure and some ethnic folk rock band. My favourite still is "Bigfoot" that has a mysterious aura and brings to mind bands like Grails. The last two tracks also have some post-rock vibes. All in all, an interesting mix of styles, but I think I have to listen to it more to really get into it. The album was released already half a year ago, so sorry for the delay... Available both on CD and vinyl. What a great night I had yesterday! It was the first time I saw Deep Space Destructors and Multishiva and both were amazing! Old friends Jupiter and Albinö Rhino never let me down either. The event was sold-out so people seem to know what's good. Link to the Facebook event over here. The Bevis Frond - Are We There Yet? Black Magic Six is a trash/blues/garage/psychobilly/punk duo from Helsinki formed in 2006. 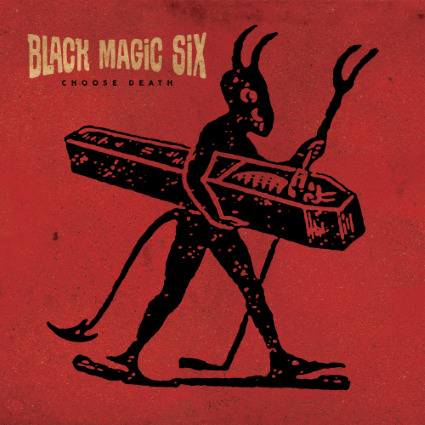 Choose Death is their fifth outing and released today on Svart Records. I got to admit not having heard the duo's previous albums that much but their energetic live shows have been very entertaining. No wonder they seem to almost constantly play live in Germany and other parts of continental Europe. Live they are just guitar/vocals and drums duo but this new album also features some guests on solo guitar, banjo etc. which makes it sound fuller of course. The groovy opener "Dance with Me Satan" gets closer to stoner rock because of the pretty heavy, fuzzy guitar riffs and I'm sure it makes you dance. "Shake Shake Shake" does the same to you but in a more traditional rock'n'roll / psychobilly / twist way. "Midnight" is a faster graveyard garage rock tune and "All Night Long" that also has some cool solo guitar work brings to mind Tom Waits or Tuomari Nurmio. The bit longer (3:47) "Red Cloud" is a hazier and even a bit psychedelic song and one of the highlights for me. "Grease the Machine" rocks out like old 80's Finnish rock/rockabilly group Melrose and also has some backing vocals like of course some other tracks as well. On "Raw" the going gets pretty trashy and swampy and why the hell not. "Better Run Fast" has a nice caveman voodoo beat and also some sax if I'm not mistaken. "16 Tons of Misery" features Janne Westerlund from Pharaoh Overlord/Circle/Plainride and it rocks really well too. Janne of course has previously played with the drummer Japa in legendary 90s band Sweetheart. The singer/guitar player Taskinen is most known for his long career in seminal Finnish death metal/grindcore band Disgrace that also has turned into more punky/garage direction since the early days. The album is finished with the bit more melodic and atmospheric "Golden Jackal" that somehow reminds me of Roky and the Aliens. One of my favourites for sure and a great way to end this raw, energetic and pretty straight forward garage rock album. You can see the band live two times today: once for free at Levykauppa Äx on Fredrikinkatu at 17:00 and later at their official record release party at Lepakkomies. It's time to boogie like there's no tomorrow! 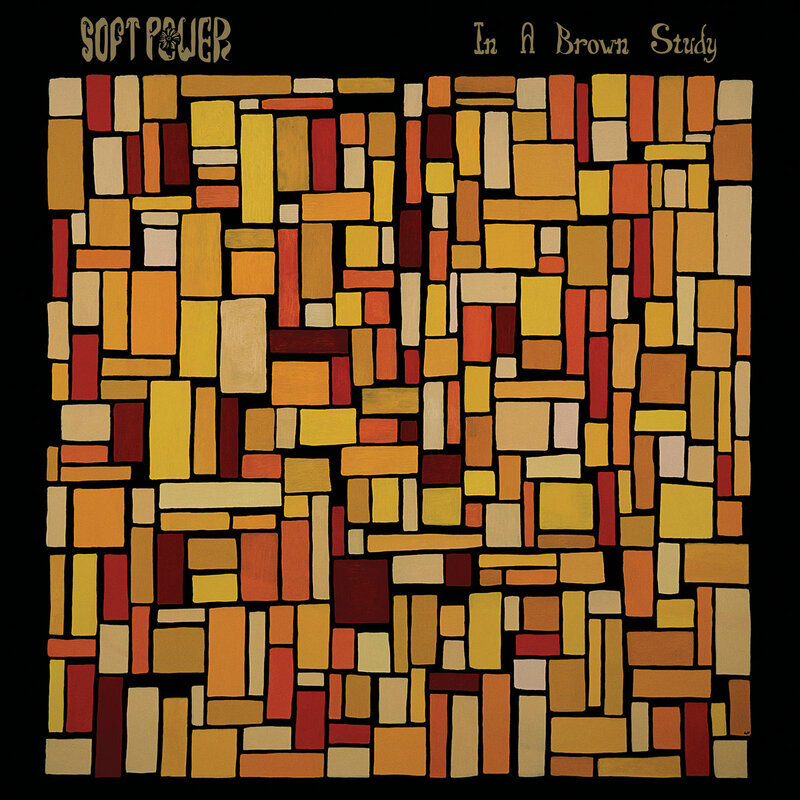 This is the first album by Helsinki-Based progressive psych/folk/pop/rock band Soft Power. It was recorded and mixed during quite a long time and the band has evolved along the process so the album has flashes of different styles. Some might find this a problem but I think it's good to hear different sides of the band as long as all the stuff sounds this cool. The band compares themselves to bands like Pärson Sound, Fläsket Brinner, Wigwam, Bo Hanson, Ragnarök and Can and there are similarities alright. The album starts off with the groovy, jazzy and laid-back instrumental "Aavaa # 1 / MF". Very nice! Then it's time for some weird forest folk with the experimental "Mitä on kätketty meiltä" that has psyched-out narration in Finnish. "Ääntä Wallista" is another jazzy, progressive instrumental with a sublime vibe and "Kulma Klubi" continues along the same path but in a more relaxed, very late 60's way. On the more boogie-like but still rather soft "Sisämetsä" the band sounds a bit like Janne Westerlund/Plain Ride or Death Hawks and I like this instrumental a lot. It could have used some vocals, though. "All in All" is a darker, bit heavier and longer hypnotic track that in more in the Velvet Underground vein. 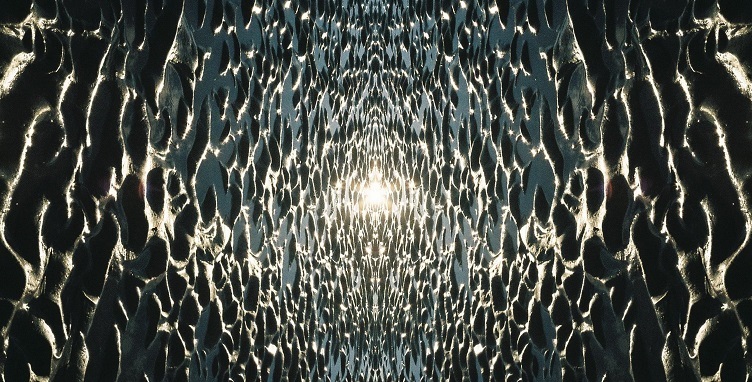 It also brings to mind some of the new dark shoegazer psych bands like The Myrrors. We also get some druggy, dreamy vocals on this one which is great. Maybe my favourite on the album! 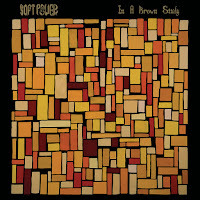 "Afterglow" sounds at first a bit like stoner rock with its heavy, fuzzy guitar riff. Later on the song gets more relaxed with vocals, percussion and I'm in psychedelic heaven. Okay, another highlight for sure. "Aavaa # 2" ends the trip with some beautiful, tranquil vibes also including some strings and wind instruments. All in all, a great, varied album that comes warmly recommended for all lovers of old school style psychedelic rock.